To ensure that continuous safety improvement and air navigation modernization continue to advance hand-in-hand, ICAO has developed a strategic approach linking progress in both areas. Additionally, the more efficient air routes, facilitated by performance-based procedures and advanced avionics, serve to significantly reduce aviation emissions – a key factor supporting today's more fuel-efficient, modern aircraft as aviation pursues its commitment to reduce its environmental impact. 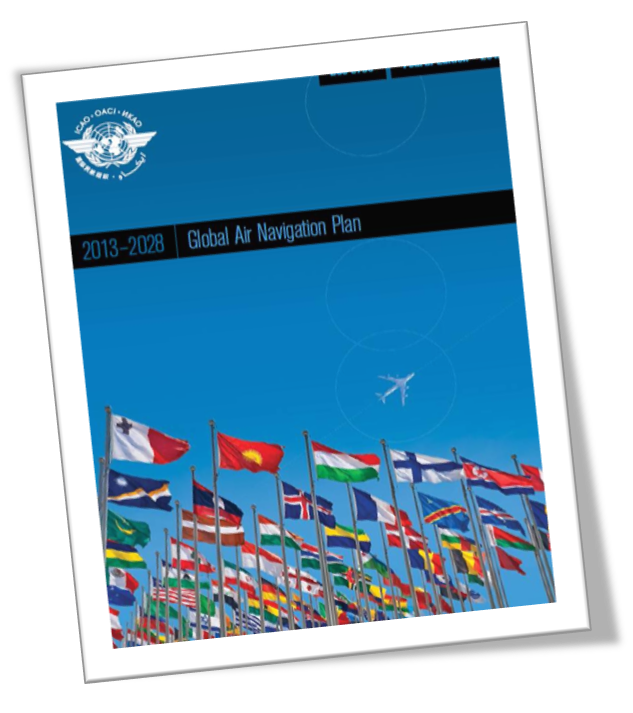 The 2016-2030 ICAO Global Air Navigation Plan (GANP) presents all States with a comprehensive planning tool that supports a harmonized global Air Navigation system. The uniform implementation of ICAO Standards and Recommended Practices (SARPs) is a fundamental tenet of the Convention on International Civil Aviation (the Chicago Convention) and forms the foundation of a safe global aviation system. The safety management SARPs are intended to assist States in managing aviation safety risks, in coordination with their aviation service providers. The safety management provisions support the continued evolution of a proactive strategy to improve safety performance. The foundation of this proactive safety strategy is based on the implementation of a State safety programme (SSP) that systematically addresses safety risks. ICAO provides guidance material to support the interpretation and implementation of the established Standards and Recommended Practices (SARPs) related to State safety programmes (SSP) and safety management systems (SMS) for service providers. The 4th edition of the Safety Management Manual (SMM) (Doc 9859) contains two parts; the first part is an ICAO Manual related to safety management fundamentals and concepts which will be complemented by an enhanced website with examples and best practices to support SSP and SMS implementation by States and service providers, respectively, as well as to support the use of proactive approaches for the management of safety. Five Safety Management Capacity Building Workshops will be delivered in 2019 to provide an opportunity for States to develop their capacity to effectively implement and operate a State Safety Programme. The Safety Management Training Programme (SMTP) has been updated to reflect Amendment 1 to Annex 19 and uses a blended training approach combining e-learning and a hands on practitioner’s course. iStars Analysis Workshop introduces the use of ICAO's iStars collection of safety and efficiency datasets and web applications. The implementation of SSP and SMS can be supported by the use of tools that can enhance the efficiency and effectiveness of safety management activities. RASGs were established to improve global civil aviation safety and efficiency by applying the ICAO Global Aviation Safety Plan (GASP) principles through a collaborative and coordinated approach in partnership with all aviation stakeholders under the leadership of ICAO. RASGs serve as ICAO's focal points to promote the reduction of aviation safety risks through the involvement of all aviation safety stakeholders and the harmonization and coordination of efforts aimed at mitigating safety risks and promoting implementation of regional safety initiatives. ICAO initially published in 2014 "new Protocol Questions (PQs) related to safety management" to be used for audits and other continuous monitoring activities conducted under the Universal Safety Oversight Audit Programme (USOAP) Continuous Monitoring Approach (CMA). These PQs are being used to conduct voluntary and confidential assessments of SSP implementation at the request of ICAO member States. In July 2017, amended SSP-related PQs will be published by ICAO to reflect Amendment 1 of Annex 19, the 4th edition of the SMM and lessons learned to date. Although Amendment 1 to Annex 19 does not become applicable until November 2019, select States will be approached by ICAO with a view to perform "SSP-focused audits" of these States in 2018 and 2019 on a voluntary but non confidential basis. These SSP-focused audits will be of limited scope and will use the amended SSP-related PQs. As of 2020, the USOAP CMA SSP-related PQs will be used to conduct SSP focused audits of the most mature States, which will need to meet the criteria to be established by ICAO, in line with the GASP. Promotional videos promote the implementation of safety management. Flyers are published in order to communicate information related to ICAO’s activities to support a proactive approach to managing safety.